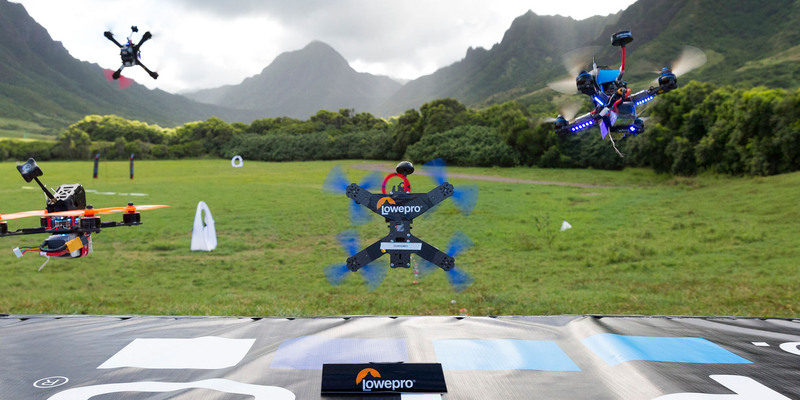 Ian Hughes, Lowepro Designer, hobby drone-builder and the creative force behind our DroneGuard series, took to the Hawaiian skies last week to compete in the DroneWorlds FPV Aloha Cup. Ian shares his experience and gives us the inside scoop on the wild world of drone racing below. Enjoy! Here I am, sitting in the cockpit of a device I pieced together in my living room, about to race it around a course without even looking at it (not directly at least). 3, 2,1 GO! My hands jump into action… OMG, I’m competing in the DroneWorlds Championships! 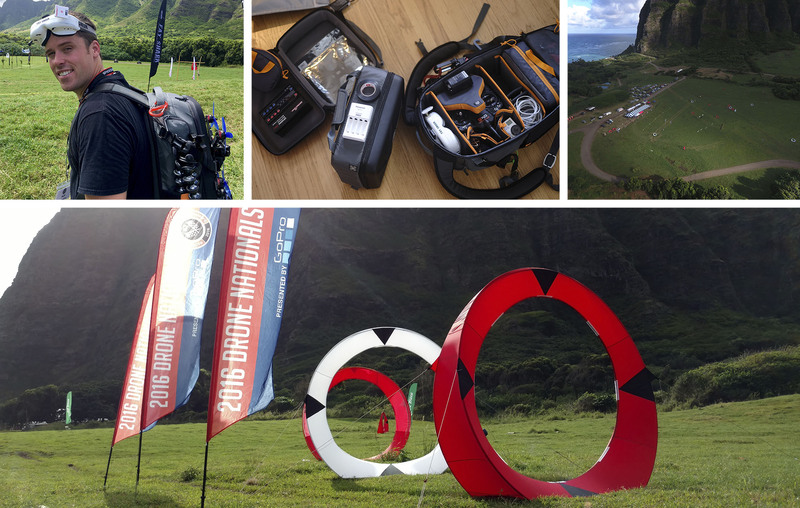 I’m Ian Hughes, Lowepro Quadguard Designer, and last week I went to Hawaii to compete in the DroneWorlds FPV Drone/Quad Racing Championship. I was so nervous as it was my first time participating in a real FPV race. At least the warm weather and jaw dropping scenery soothed my anxieties about competing with some of the best FPV pilots in the world! I packed my quads, 20+ batteries, spare parts and tools into my QuadGuard BPX1 and Kit (see my full gear list at the end of this post). I brought 3 quads to the race to be safe and, boy, was I glad I did! During my first race, I collided into a bamboo gate, completely tearing the flight battery from the frame, disconnecting the camera from the video transmitter inside the quad and bending a motor in the process. Technical interference with my video transmitter during the second heat ruined my run. My third and final attempt I broke out the “Franken quad”, a drone I pieced together using all old parts from previous quad builds. It wasn’t state of the art but it worked – well enough that I got two laps in with times around 41 seconds. At the end of the event I was in 42nd place… Not bad for my first racing event! Racing requires serious focus and quick reflexes. I knew when I designed these bags getting to gear fast was a major priority because race times are tight and pilots need to be able to swap batteries, props and make adjustments in seconds. That’s where the open design of the QuadGuards really shined through at this event. People flew in from around the world to compete! It was such an honor to have so many pilots from around the world using the bags that I designed. Talking with them face-to-face about what is working and what is not feeds my design side and gets the gears turning for version 2. It’s comforting to know something I made is spread across the world and being used on a daily basis by passionate pilots, every Industrial Designer’s dream! Ride along with me on one of my laps in the video below!